Dual-display LCD shows conductivity or TDS plus temperature in °C or °F. Meter switches between readings with the press of a button. Advanced features for easy customization. 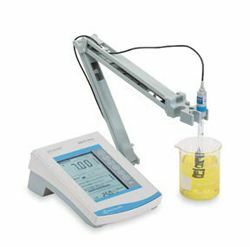 Find great deals on a wide selection of Fisher Accumet Meter in Auctions, and Classified for sale ads on LabX.